Mrs. Wright has sent a number of garments by mail and would like Martha Berry to distribute them to where they are needed. She says that acknowledgement is not necessary because she's happy to send the gift. Mrs. Wm. 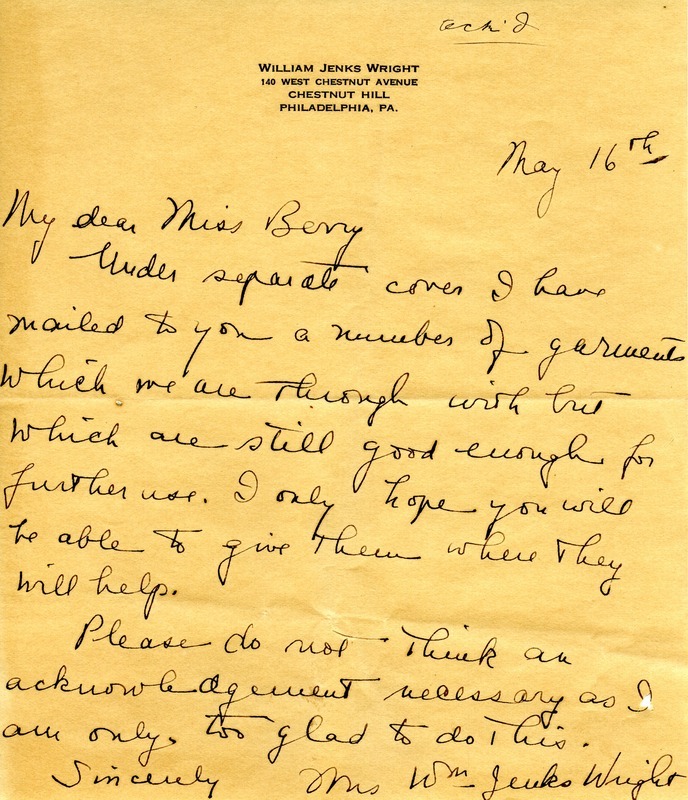 Jenks Wright, “Letter to Martha Berry from Mrs. William Jenks Wright.” Martha Berry Digital Archive. Eds. Schlitz, Stephanie A., Chelsea Risley, Alan Henderson, et al. Mount Berry: Berry College, 2012. accessed April 23, 2019, https://mbda.berry.edu/items/show/9362.